How was your weekend?I have had a great weekend and I feel great. I have been sick for the past two weeks and it feels good to be feeling myself again.Enough about me,I have something more exciting to talk to you about. 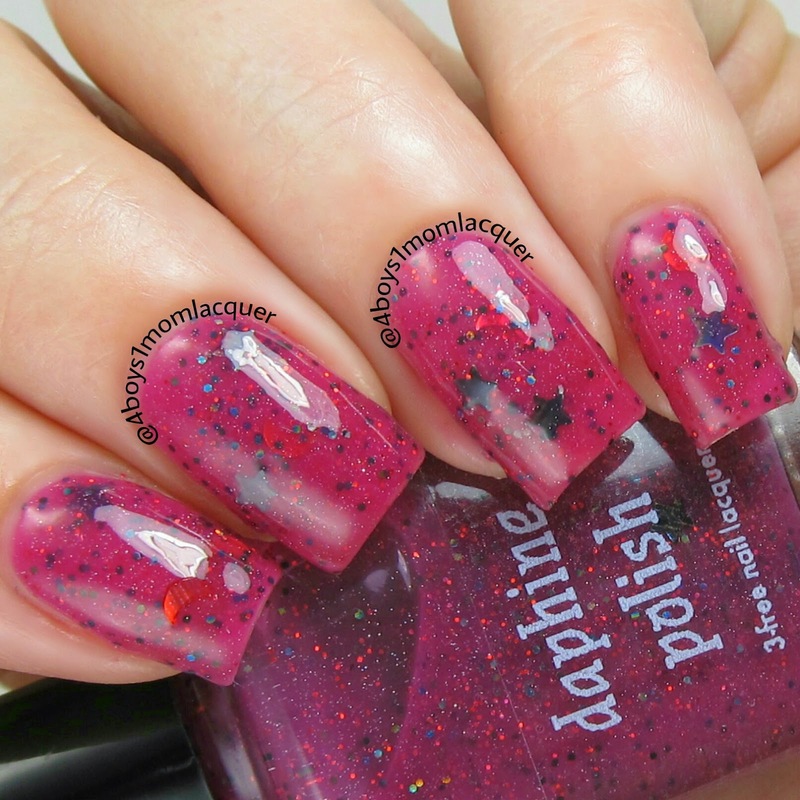 Daphine Polish is about to release a HUGE collection called The Top Ten Collection-Spring 2014. This collection is a full collection of 10 beautiful blends that will be releasing April 4th. The names behind this collection were inspired by Joanne's favorite songs,so the polish names will be titles of the songs that she likes.Another thing is that this collection will be separated into Disks.There will be a Disk 1 and Disk 2.How much fun is that? Disk 1 will have five polishes and Disk 2 will have the remaining five.Lets check out this amazing collection shall we? Bad Moon Rising is a dark pink jelly with black and red holo hex glitters, black holo stars, and red holo moons.I applied 3 light coats and a top coat.This color is stunning and my favorite part of the polish is the black holo stars. What you don't see in the photos above is the black holo stars shifting. They actual shift to a rainbow of colors. It's absolutely stunning!Well here is a small example on the star shifting in the light.Take a look below.It is the star at the very top of my nail by my cuticle line. Fistful of Rain is a mint green crelly. It contains violet, turquoise, silver, and matte gray glitters, and violet holo dots.I applied 3 light coat and a top coat. Little Black Heart is a gray crelly with a slight blue tint. It contains blue and silver hex, circle, & square glitters, black dots, and black hearts. I applied 3 light coats with a top coat. This is a beautiful color and is one of my favorites. 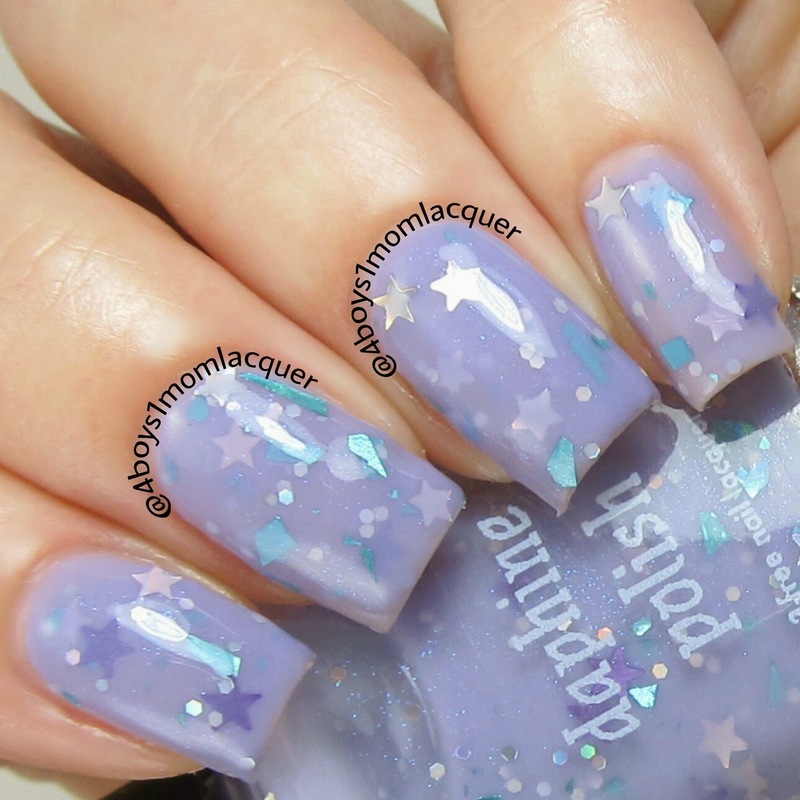 All the Stars is a purple somewhere in between a jelly and a crelly with a hint of blue shimmer. It contains silver hex glitter, turquoise holo shreds, silver holo stars, and matte purple stars.I applied 3 light coats and a top coat.The shreds are something different for me but I really like them. I didn't have any issues with the shreds sticking up. If you do come across that problem I recommend using a couple layers of top coat or just simply tap it down with a nail tool or tooth pick. Drop in the Ocean is a bright blue jelly with blue, turquoise, and silver holo hex and square glitter, light green matte dots, and turquoise hearts. I applied 4 light coats and a top coat. This formula is very thin and sheer so me applying 4 coats did not make it look thick on my nails. I love this color and the blue looks like the color of the ocean. I think Joanne made this color spot on. 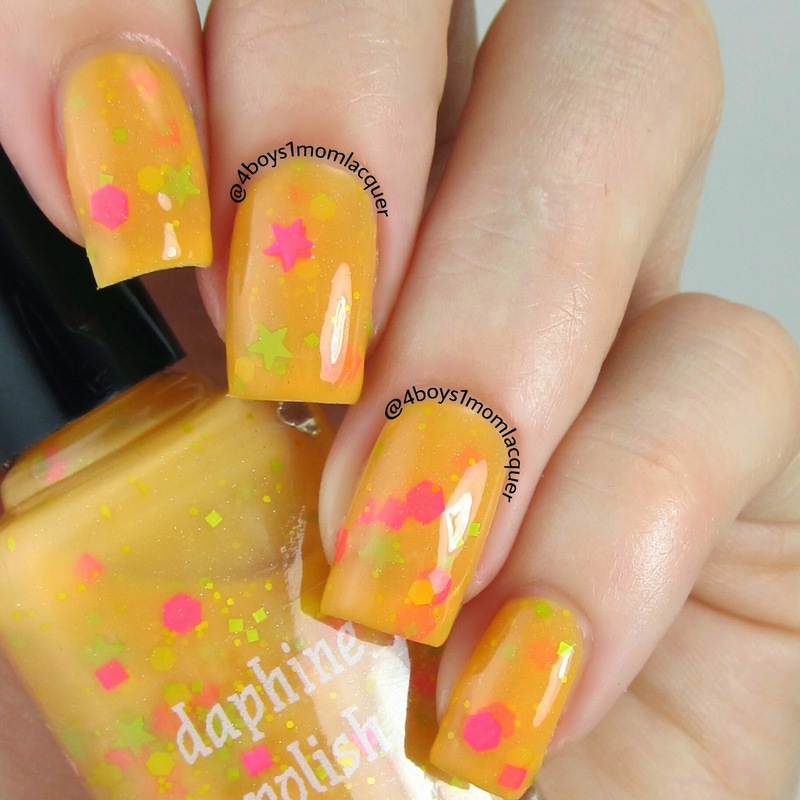 Cosmic Girl is a bright orange jelly-crelly hybrid. It has yellow, green, and pink neon glitters of all shapes and sizes, including stars. Some superfine holo glitter gives it that extra sparkle.I applied 3 light coats and a top coat. With this color being orange I was not sure that it would go with my skin tone since my skin has yellow tones in it. Boy was I wrong! This color looked amazing on me. This is another one of my favorites out of this collection, I just wish I had a black light to show off that neon glitter. 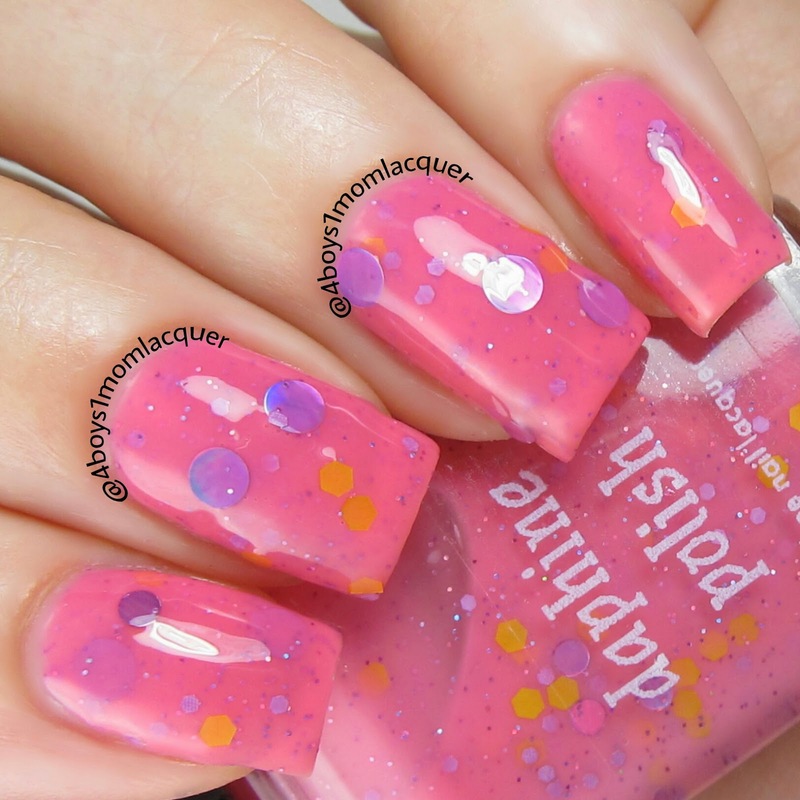 Summer Skin is a bright pink crelly with yellow, lavender, & violet hex glitters as well as violet dots in two sizes.I applied 3 light coats and a top coat. I LOVE this color. 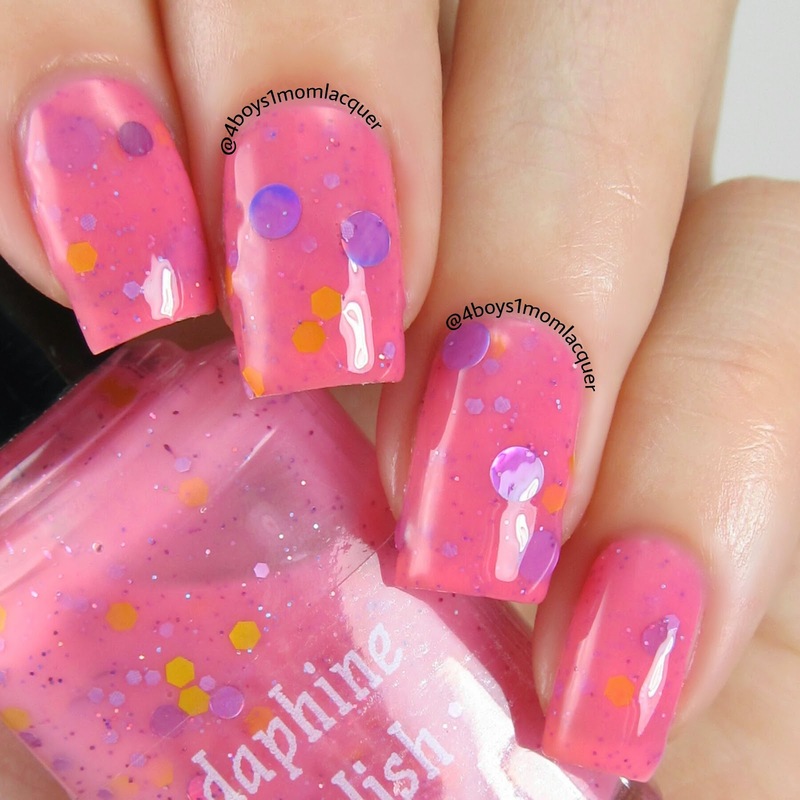 It is the perfect shade of pink and the added neon orange glitters makes it even better. 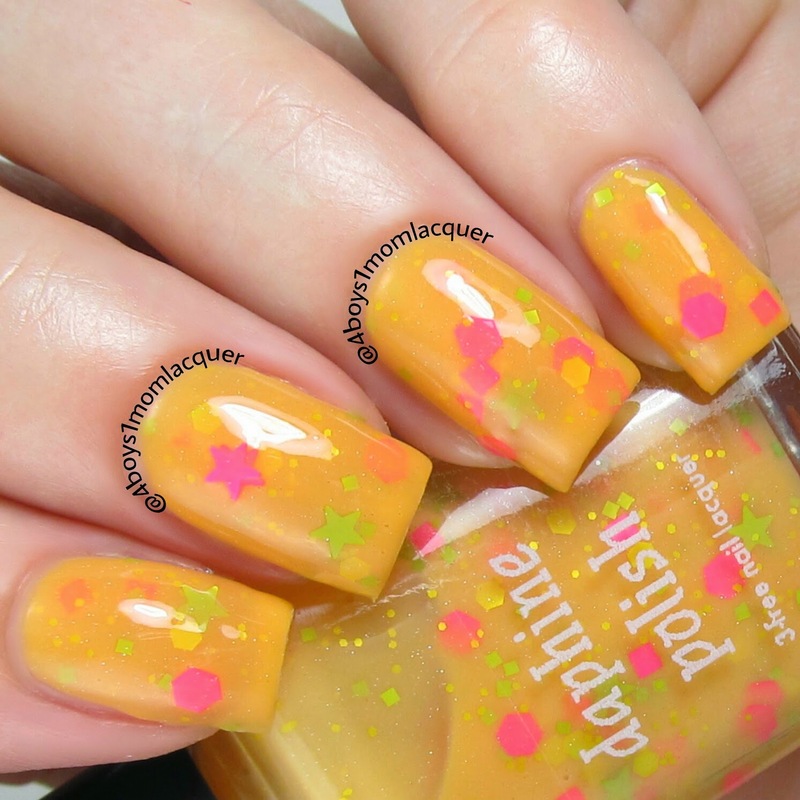 I think the neon orange glitters makes this polish pop!It's perfection! Wallflower is a light purple crelly with purple hex, iridescent square, silver holo shred glitter, and light purple daisies.I applied 3 light coats with a top coat. I had absolutely no issues with the glitter. Everything applied smoothly. Something Going Round is a powder blue crelly stuffed with dots! It has pink, blue, aqua, and lavender matte dots in two sizes as well as a dash of superfine holo glitter for some added sparkle.I applied 3 light coats and a top coat. Last Beautiful Girl is a light pink crelly with berry hex, silver and blue holo squares, and purple holo shred glitter.I applied 3 light coats and a top coat. I really like this polish too. 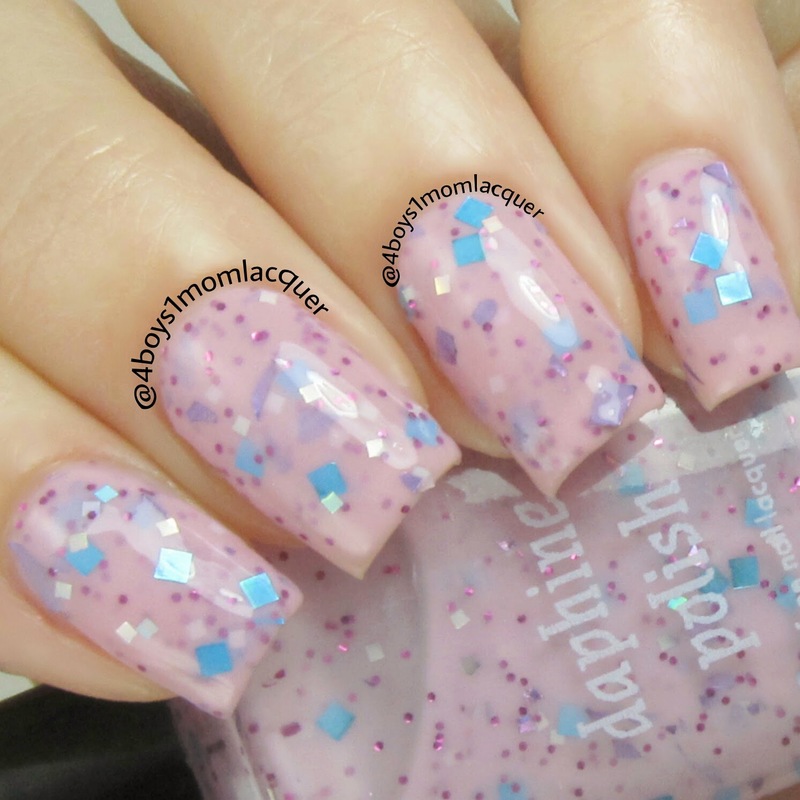 I just love all the shapes and colors of the glitter,they go perfectly with the color of this polish. This collection is so much fun!!! The colors and all the different shapes and types of glitters surprised me.They are absolutely flawless in my opinion.This is such an amazing collection and Joanne did an amazing job and I appreciate all of her hard work.She is very creative and I love everything she creates.This is a collection of 10 beautiful lacquers and you can expect for them to be available April 4th in Daphine Polishes shop. Which colors are your favorite?Leave a comment below and share your thoughts! 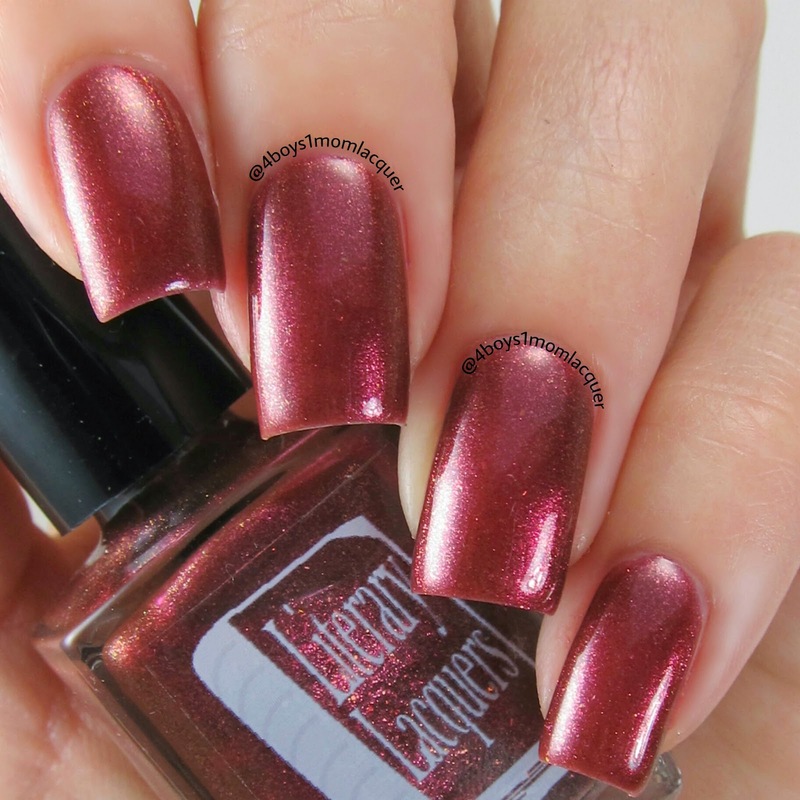 Today I have a Beautiful collection to show you by Literary Lacquers. This collection is called The Ultimate Outlaw Collection, inspired by literary outlaws and rebels. This collection launches March 26th at 9am MST. This collection consists of 8 polishes. It has a mixture of holographic polishes and shimmers.The Ultimate Outlaw collection is absolutely flawless. Lets take a look below. "And So I Step Up"
And So I Step Up is inspired by The Handmaids Tale by Margaret Atwood. "And so I step up,into the darkness within;or else the light". Offred, the protagonist of Margaret Atwood’s The Handmaid’s Tale is a reluctant rebel. Over the course of the book, she thinks about rebellion often but is too afraid of pain to act directly. Offred is a handmaid, a fertile woman assigned to a Commander of the dystopian Gilead regime to bear a child for the Commander and his wife. In this version of the future set in barely recognizable Boston, women are property, not even allowed to read. Offred’s rebellions are small at first, stealing butter to moisturize her skin and taking a dried out flower from an arrangement, but she eventually begins an affair with the chauffeur, Nick. As the novel ends, the secret police are coming to take her away, but she’s told by Nick that it’s the rebellion coming to help her escape. We do not know if Offred is rescued or sent to her death, but as she steps up into the van and her own uncertain future we can only hope for her safety. "And So I Step" is a Merlot glass fleck shimmer polish. I applied 3 light coats and a top coat. This polish applied smooth. Original Virtue, inspired by Oscar Wilde. Oscar Wilde is one of the original celebrity literary outlaws. Accused as a homosexual (which he most certainly was) by the father of his lover, Lord Alfred 'Bosie' Douglas, he sued for libel, but was clearly the one on trial himself. 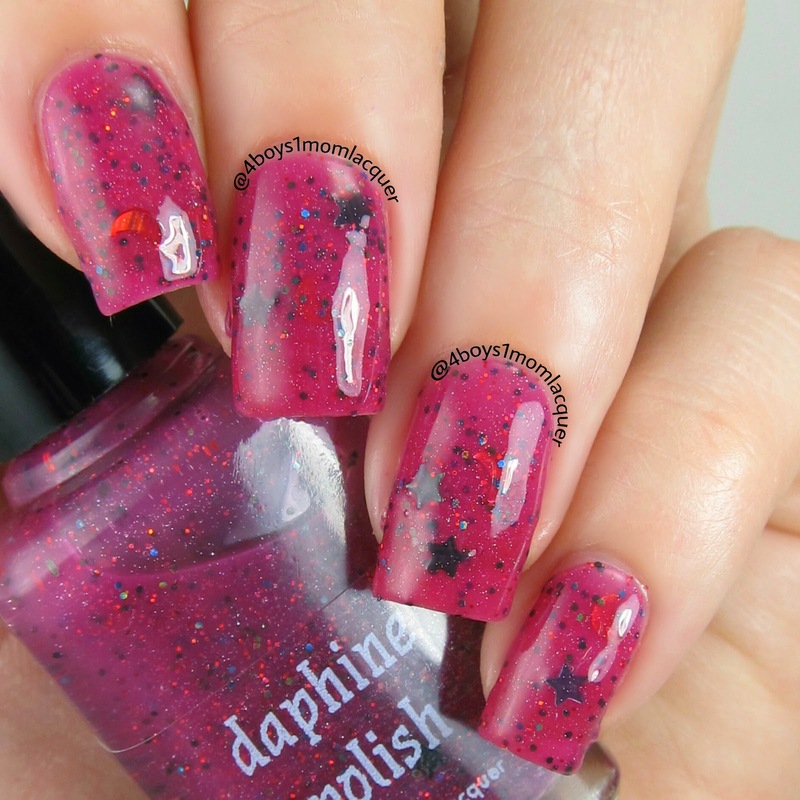 "Original Virtue" is a pinkish coral glass fleck shimmer. This color is sheer. I applied 3 light coats but 4 coats is recommended for full opaqueness. I also applied 1 coat of a top coat. The Mad Ones, inspired by On the Road by Jack Kerouac. "The only people for me are the mad ones, the ones who are mad to live, mad to talk, mad to be saved, desirous of everything at the same time, the ones who never yawn or say a commonplace thing, but burn, burn, burn like fabulous yellow roman candles exploding like spiders across the stars. "On the Road is a largely autobiographical work that was based on the spontaneous road trips of Kerouac and his friends across mid-20th century America on a quest for meaning and belonging in a changing world. Ether Binge, inspired by Fear and Loathing in Las Vegas by Hunter S. Thompson. "The trunk of the car looked like a mobile police narcotics lab. We had two bags of grass, seventy-five pellets of mescaline, five sheets of high-powered blotter acid, a salt shaker half full of cocaine, and a whole galaxy of multi-colored uppers, downers, screamers, laughers . . . and also a quart of tequila, a quart of rum, a case of Budweiser, a pint of raw ether and two dozen amyls"
Fear and Loathing in Las Vegas chronicles (semi-autobiographically) the Las Vegas adventures of Raoul Duke and his attorney, Dr. Gonzo, as they chase the American Dream and ponder the failure of the 1960's counter cultural movement in a drug-fueled hallucination-filled haze. "Ether Binge" is a shimmering aquamarine holo with blue-green glass fleck. I applied 3 light coats and a top coat. Just stunning! The Ultimate Outlaw, inspired by Still Life with Woodpecker by Tom Robbins. "Love is the ultimate outlaw. It just won't adhere to any rules. The most any of us can do is to sign on as its accomplice. Instead of vowing to honor and obey, maybe we should swear to aid and abet." Still Life with Woodpecker chronicles the love affair of two redheads, Bernard Mickey Wrangle, the outlaw bomber philosopher (who is insistent upon explaining the difference between an outlaw and a criminal) and Leigh-Cheri Furstenberg-Barcalona, the environmentalist princess. The two arrive separately in Hawaii for the Care Fest, a gathering of environmental leaders and environmentalists in general (she to participate, he to blow it up), and they meet and fall in love. One part fairy tale, one part philosophical treatise on aspects of love and how to make it stay, and one part an exploration of the boundary between self and other and what happens when you attempt to transcend those boundaries, this book attempts to answer many of the perplexities of life. "The Ultimate Outlaw" is a sapphire blue holographic polish. This polish is one of my favorites out of the collection. I applied 2 light coats and a top coat. Everything You Love, inspired by The Color Purple by Alice Walker. "Oh, she say. God love all them feelings. That’s some of the best stuff God did. And when you know God loves ‘em you enjoys ‘em a lot more. You can just relax, go with everything that’s going, and praise God by liking what you like. God don’t think it dirty? I ast. Naw, she say. God made it. 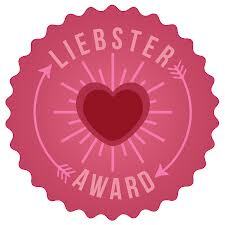 Listen, God love everything you love—and a mess of stuff you don’t." "Everything You Love" is a deep smoky lilac holo. I applied 3 light coats and a top coat. This color is really unique. I have not seen a holographic polish this color. It's really pretty in my opinion and it looks even more beautiful in person. Mysterious Irrevocable Sacred, inspired by Wild: From Lost to Found on the Pacific Crest Trail by Cheryl Strayed. "It was all unknown to me then, as I sat on that white bench on the day I finished my hike. Everything except the fact that I didn't have to know. That is was enough to trust that what I'd done was true. To understand its meaning without yet being able to say precisely what it was, like all those lines from The Dream of a Common Language that had run through my nights and days. To believe that I didn't need to reach with my bare hands anymore. To know that seeing the fish beneath the surface of the water was enough. That it was everything. It was my life - like all lives, mysterious and irrevocable and sacred. So very close, so very present, so very belonging to me. Wild is Cheryl Strayed's first-person memoir of her 1,100-mile hike along the Pacific Crest Trail through California and Oregon to the border of Washington State. After Cheryl’s mother died, she spiraled down into heroin one night stands which led to the destruction of her marriage. After her divorce, with very little left to lose, she decided to embark on a challenging hike despite having very little experience, hoping to save her own life as she explored the wilderness. "Mysterious Irrevocable Sacred" is a deep blurple holo with blue and purple glass fleck.I applied 2 light coats and a top coat. This color couldn't be more perfect. It has the brightest shine and sparkle. I have been wanting a blurple holographic polish for so long. 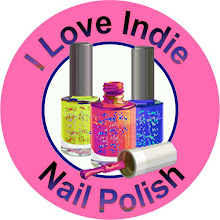 I have even made a suggested to another indie brand to make a blurple holographic polish. I just love it so much and I can't stop looking at it. Its just perfection!! It just makes me gasp every-time I see it. Annabel Lee, inspired by Edgar Allan Poe's poem of the same name. Edgar Allan Poe is the father of the modern horror genre and Annabel Lee is the last poem he completed before his death. Annabel Lee represents one of Poe’s favorite themes, the death of a young, beautiful woman. Poe’s fascination with love, death and insanity permeates all his works; his version of horror is a psychological one. "Annabel Lee" is a grey crelly packed with holographic and iridescent micro-glitter and opalescent flakies. I applied 3 light coats and a top coat. I can not express how much I love this polish. 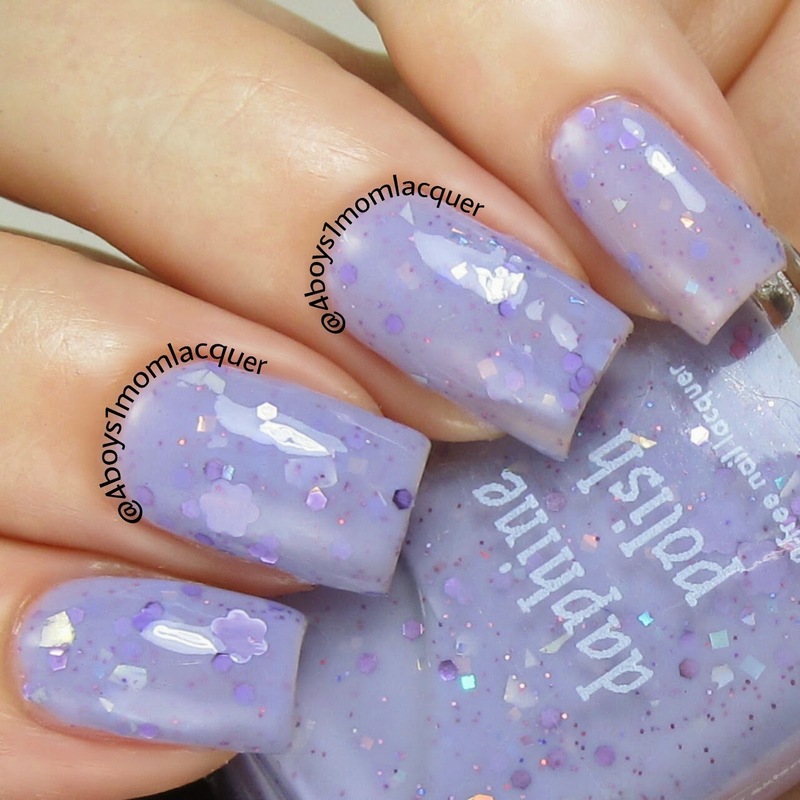 It has everything.I love grey polishes and this one has tons of sparkle and beautiful flakes. You may not see tons of sparkle in my photos but this polish glistens when the light hits it. The Ultimate Outlaw Collection is PERFECTION!! It is absolutely perfect!! I feel so honored to have been able to review this collection for Amy and be a part of her team. The formula and colors are smooth and beautiful. I hope you love this collection as much as I do. This collection will be launched tomorrow(March 26th at 9am MST).For more information be sure to check out Literary Lacquer's Facebook and other social media pages. I will post links below.